My team was asked to evaluate the website of a non-profit arts organization and propose revisions. 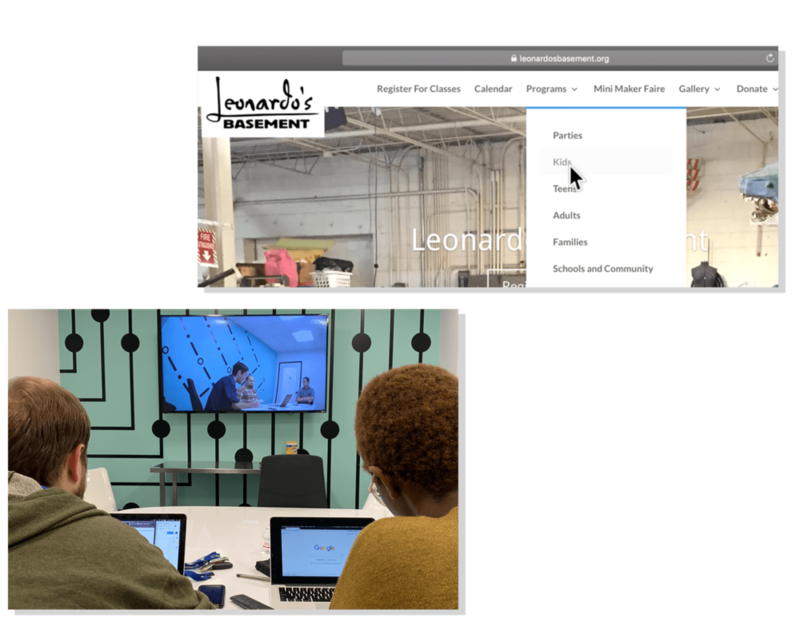 The client’s primary goals for the site were to communicate the value of their organization, to help users find relevant information quickly, and to facilitate enrollment in classes and events. I collaborated with a research team to conduct user testing and synthesized the results into actionable recommendations for revising site navigation and content architecture. Collaborated with 3 other UX professionals to conduct usability tests in lab and collate data. I knew this small non-profit had limited resources for development, so my recommended redesign focused on clarifying communication in a few key areas. After hearing from many users that they were confused about the purpose of the organization, I proposed changing the layout of the homepage to highlight a mission statement that had been buried in the page footer. At the same time, replacing a cluttered social media feed with icon links helps keep users focused. I recommended simplifying the navigation experience by consolidating sub-page topics into natural groupings based on user tasks, and by clarifying the menu language. This restructuring eliminated redundancy and significantly reduced the total number of discrete pages, giving users a clear path to finding the information they need. Revised menu language (front) reflects consolidated page content based on user tasks. While observing user tests, it became apparent to me that the distinction between two major menu headings was not clear to most users. 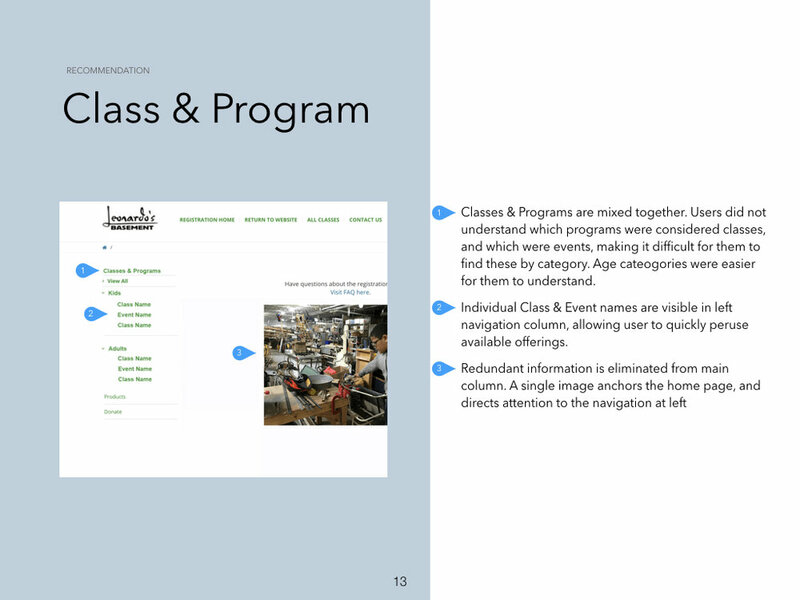 “Programs” and “Register for Classes” were ambiguous categories, and users were repeatedly failing to find the information they sought in these areas. Many users avoided a link with the active verb “Register” when they were unsure of whether they wanted to sign up, and were just seeking information. My team made a Trello board to share data on our user tests. After discussing our discoveries in relation to the client’s goals, we agreed on a system of color-coding and keywords to make points of commonality visible and sortable. Finally, I compiled a Findings & Recommendations Report describing usability issues and proposing solutions. Two pages from the report are pictured below.